WEDNESDAY, Aug. 24, 2016 (HealthDay News) -- Young people who suffer even mild head trauma are more likely to have serious issues later on, including psychiatric problems and premature death, a new study suggests. Researchers compared 100,000 Swedes who suffered at least one traumatic brain injury (TBI) before age 25 with their unaffected siblings. The investigators found that those who had had head injuries were consistently more likely to die early and have problems functioning as adults. The effects of an early life TBI -- a blow to the head or penetrating head injury that disrupts brain function -- were more striking among those who were older when they were injured, whose injury was more severe, or who had repeated head injuries, the findings showed. "The key finding is that these increased risks remained elevated even after comparison with unaffected siblings, which is consistent with [the notion] that TBIs partly cause these outcomes," study author Dr. Seena Fazel said. Fazel is a professor of forensic psychiatry at the University of Oxford in England. "The worst outcome is clearly premature mortality," Fazel added, "but after that the increased risks of psychiatric hospitalization are notable." About 1.7 million Americans suffer a traumatic brain injury each year, according to the U.S. Centers for Disease Control and Prevention. Falls and motor vehicle crashes are the leading causes. 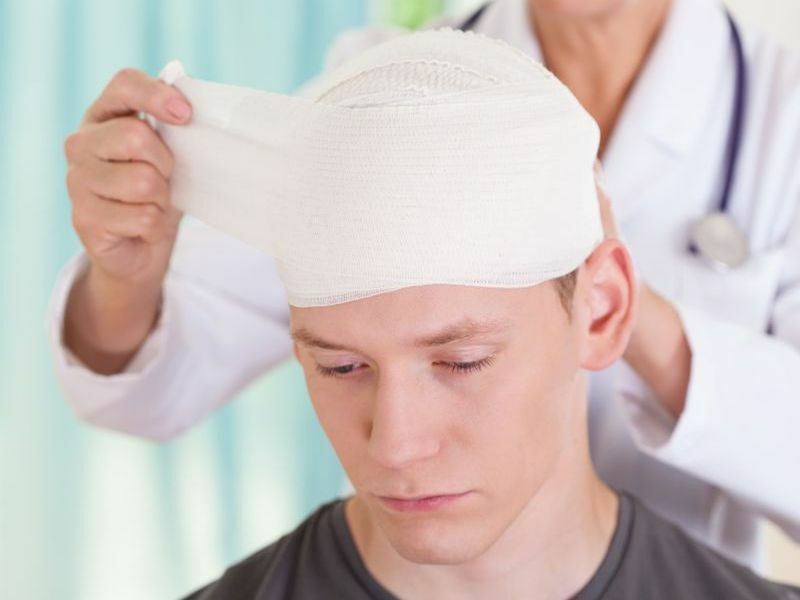 Fazel and his colleagues analyzed long-term data of cases in which most patients had one mild head injury, or concussion. Participants, who were born between 1973 and 1985, were 13 years old on average when they were hurt. After age 26, they were followed for an average of eight years. Previous research on long-term health of people with TBI has addressed more severe injuries and diagnoses. But Fazel noted that his study uncovered risks from even mild head injuries. TBI consistently was linked to premature death, psychiatric treatment, and low educational attainment. Those who had TBI were also more likely to wind up on welfare or dependent on disability pensions. Notably, those who had TBI had a more than 10 percent risk of being diagnosed with a psychiatric disorder in adulthood and a 2 percent risk of dying prematurely. Compared to their unaffected siblings, TBI patients were twice as likely to be hospitalized for psychiatric problems and 80 percent more likely to receive a disability pension, according to the report. Dr. Bradley Sandella, program director of sports medicine at Christiana Care Health System in Wilmington, Del., said he wasn't surprised by most of the findings. "For some time, there has been speculation within the medical community that there is a strong link between traumatic brain injury and psychiatric issues," said Sandella, who wasn't involved in the new research. "Essentially, the belief is that the brain injury can trigger or exacerbate the symptoms of a psychiatric illness," he added. "I found it somewhat surprising that there was a higher increase in mortality at a younger age. While I am aware there could be a minor spike in suicides, a 2 percent absolute risk increase is surprisingly high." Fazel and Sandella agreed that the findings underscore the need to prevent and manage TBIs. Certain efforts have already paid off, Sandella noted. Concussions among school-age athletes are being better handled by teaching football players safer tackling techniques and keeping athletes off the field when a head injury is suspected. "However, more needs to be done, including the banning of dangerous or reckless plays in sports that place people at risk for injuries," Sandella said. Fazel zeroed in on younger children. "Improving parental supervision for toddlers and preschool children [is recommended], as falling is the most common form of TBI in young children," he said. Sandella said early involvement of a mental health professional in management of concussions will help head off future psychiatric issues. "Collaborative efforts can have a dramatically positive effect on the patient's journey toward optimal health after a traumatic brain injury," he said. The study was published online Aug. 23 in the journal PLOS Medicine. The U.S. Centers for Disease Control and Prevention offers tips to help prevent TBI and concussions.